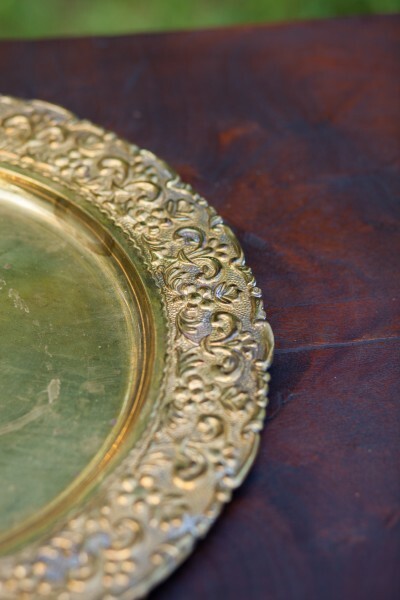 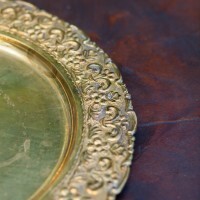 Beautifully aged assorted brass serving trays with detailing. 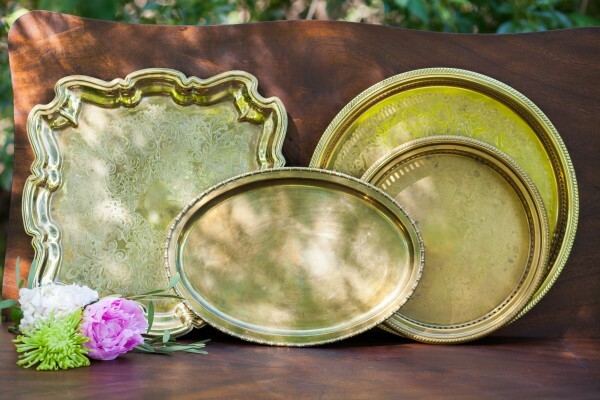 Perfect when used for display or serving. 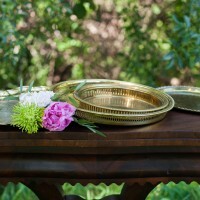 Each tray is unique. 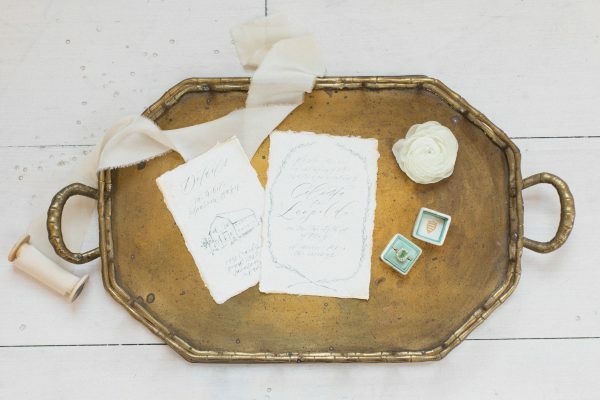 Nothing looks more beautiful than adding some vintage patina to your wedding tablescapes! 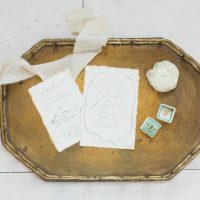 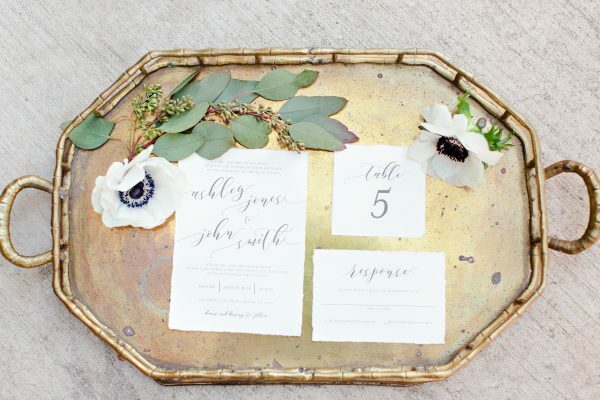 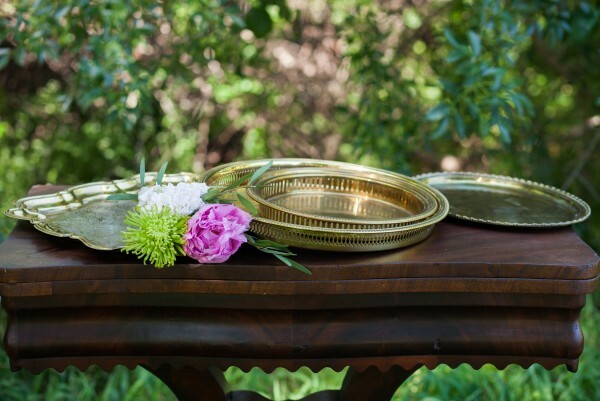 Style your Ceremony, Reception Tables, Bar Area, or Food Displays with a Boho, Indie, or Modern Twist using different sizes and styles of Vintage Brass Trays. 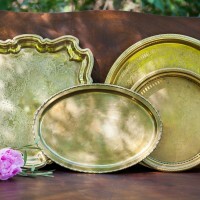 Perfect to use with brass candles or to place your floral centerpieces on giving depth and interest to tablescapes!